Recently, while huffing and puffing on the treadmill alongside a good friend of mine, we got into an interesting conversation about the seven wonders of the world. We were both slightly embarrassed that we couldn’t name them all and ended up turning to our other good friend Google for assistance. 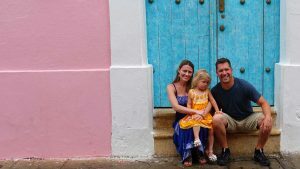 I know what you are probably thinking… A family travel blogger doesn’t know the seven wonders of the world?! Your ridicule is deserved. Like I said, I was slightly embarrassed. I will do better at memorizing my world wonders. But in the meantime, that conversation inevitably led to another one. 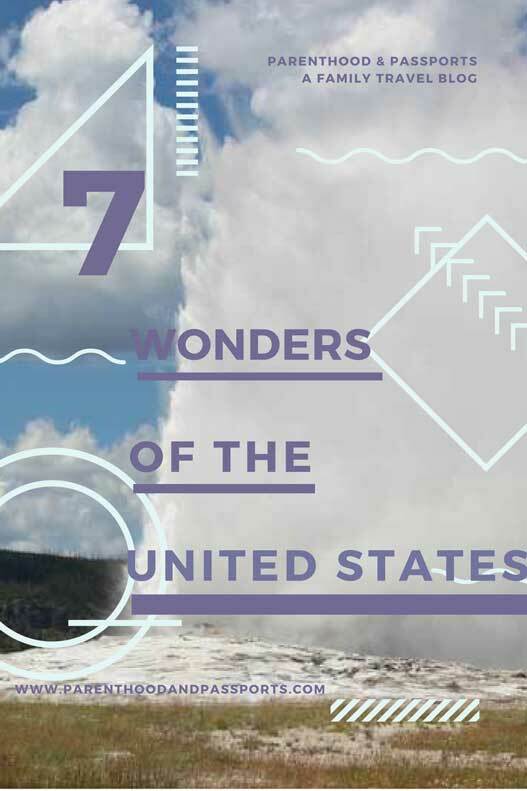 What would the seven wonders of the United States be, if there were such a thing? I decided to compile a list of my top “wonders” in America. Some of these wonders are man-made, while others are the amazing artistry of a Higher Power. The United States is a massive country. I have yet to explore all of the beautiful aspects of the USA, but have had the privilege of seeing a large portion of it since I was born and raised here. Consider this my list of the top things to see in the United States. How could it not make the list? The Grand Canyon is stunning. It is take-your-breath-away beautiful. Stand-there-and-stare magnificent. How-long-have-I-been-standing-here-staring brilliant. This canyon really deserves a word even grander than “grand”. 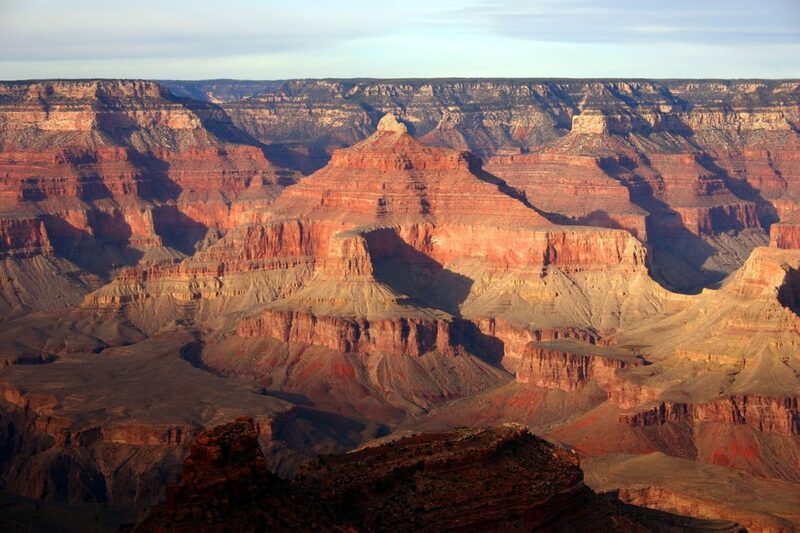 The shear size of the Grand Canyon will leave you in awe, but it’s beauty will leave you speechless. I went as a child and promised myself one day I would hike the canyon rim-to-rim. I have yet to fulfill that promise, but it remains on my bucket list. 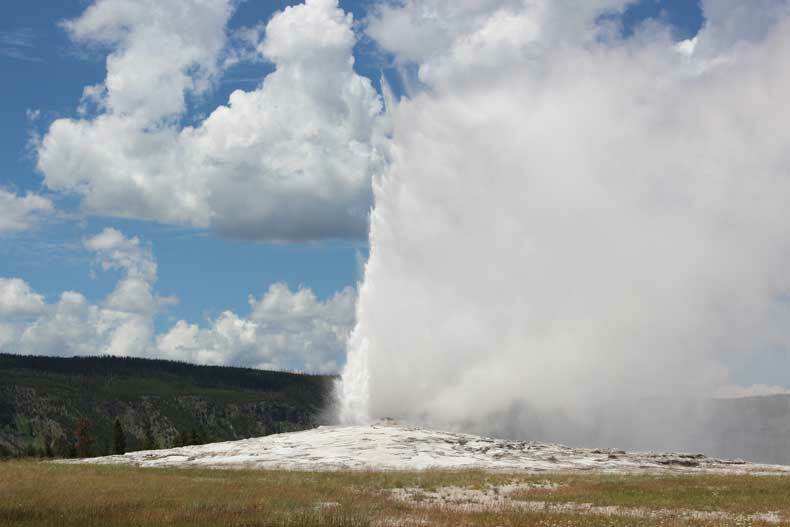 When people think of Yellowstone, they typically think of Old Faithful, but the park itself is much more than just the one consistently erupting geyser. The beautiful, rich colors of the bubbling hot springs and mud pots, the forests, the waterfalls, and the wild animals freely roaming throughout the park make Yellowstone a true wonder. Yellowstone is huge, so visitors should give themselves a couple of days at least to fully explore the park. (I would recommend even more if you have the time). It is so big that small parts of it actually sit in Idaho and Montana, as well. One of the great things about the Grand Tetons is that they are right next to Yellowstone. So you can check two of our seven wonders off your list in one trip! 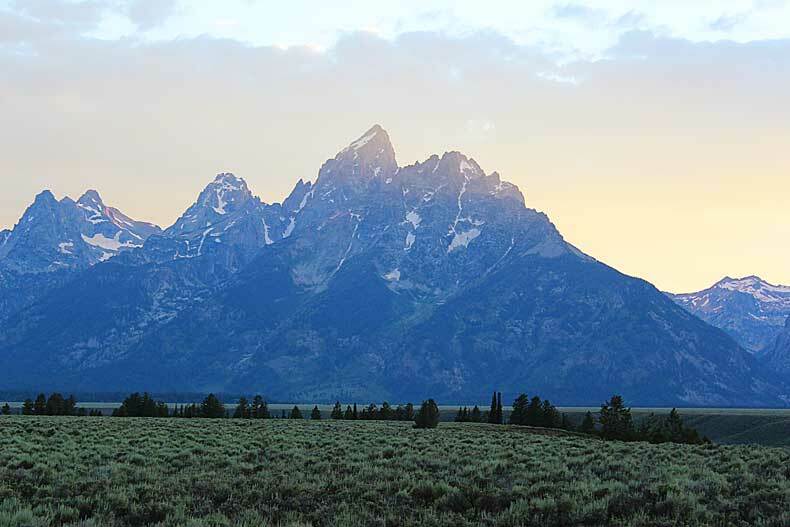 This mountain range, located just outside of Jackson, Wyoming, appears to jut straight up out of the valley floor. I wonder sometimes if the people who live near it realize how lucky they are to have such a view in their backyard. 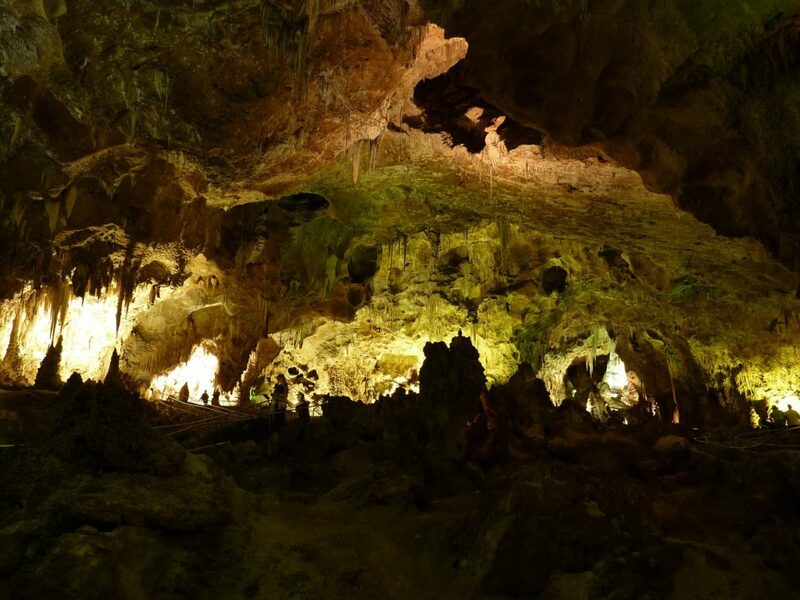 I grew up about 2 hours from Carlsbad Caverns, so I frequently went on school field trips to this incredible bat cave. Although I have only seen a handful of caves in my life, supposedly this one is one of the most beautiful. Of the ones I have seen, I would have to agree. Personally, I love caves, so one of them had to make the list of our top seven wonders. There is just something eerie and incredible about the underground world and the natural formations of a cave. It is a bit off the beaten path in far southeast New Mexico, but well worth a visit. Ok, so it’s partially in New York and partially in Canada, but Niagara Falls is definitely a wonder to be held. Even more so than caves, I am completely fascinated with waterfalls. I love their power, their beauty, and the sound of the rushing water as it falls so freely down to the pool below. Niagara Falls is the king of all waterfalls in the United States. 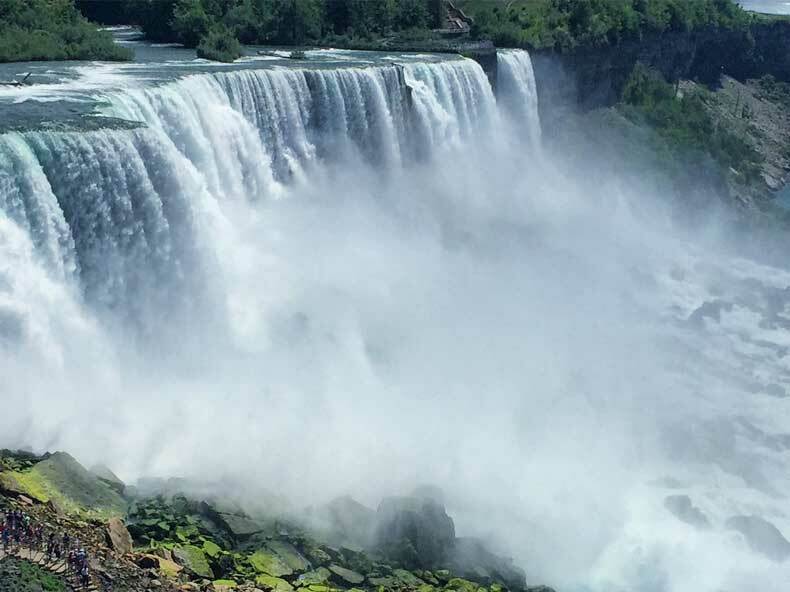 Located about 30 minutes north of Buffalo, New York will visit the falls for the first time next weekend. So stay tuned to our blog for details. Staring at the Hoover Dam is kind of like walking into one of the countless old cathedrals in Italy… you can’t help but think “how in the world did they build this so many years ago?” While the dam wasn’t built until the 1930’s, it was still constructed long before the technologies and safety measures we have today. In fact, more than 100 people died during the construction of the dam. It’s true size is hard to capture in a picture, but it is spectacular. It is truly a modern engineering marvel. 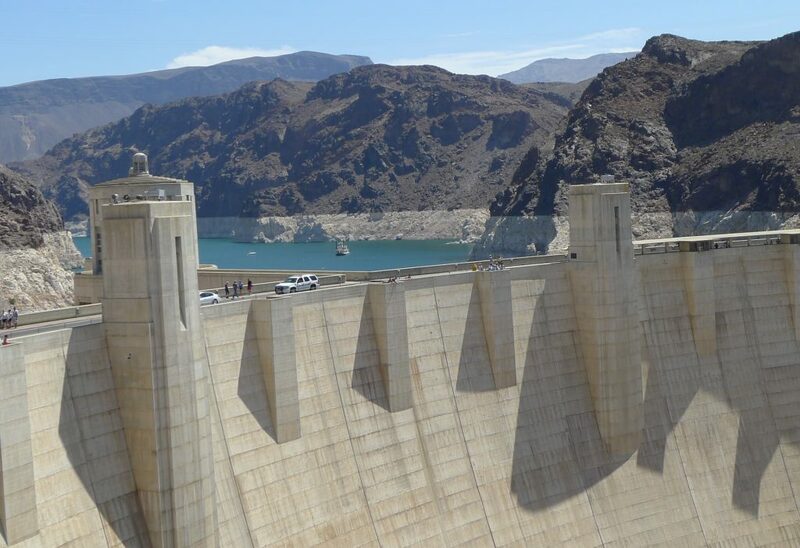 The Hoover Dam is located just outside of Las Vegas, Nevada. Full disclosure before continuing: The seventh wonder was an addition made by my husband… I originally was thinking Mount Rushmore (which was surprisingly smaller than I expected) or the Empire State Building, Golden Gate Bridge, or the Statue of Liberty, all of which are iconic, but my husband argued they weren’t “wonders”. I also considered including the Bio-luminescent Bay in Puerto Rico (which is fantastic), but I figured I would stick strictly to the actual states instead of including territories. (Sorry, Puerto Rico.) So without further adieu, I present to you the seventh and final wonder of the states… Courtesy of my husband, Damon. The Chesapeake Bay Bridge and Tunnel connects Norfolk with the eastern shore and, like the Hoover Dam, is also considered an engineering modern marvel. I’ve personally never driven on this bridge or been through this tunnel, but my husband says it seems like it goes on forever. The bridge allows you to get into a part of Virginia that is still somewhat untouched, where wild horses roam on the beach. The bridge itself goes over the Chesapeake Bay and spans for roughly 20 miles, even dipping under the water at times into two separate, long tunnels. So what do you think? Do you agree with this list? What would add or take away? Fantastic overview! The bubbling hot springs at Yellow Stone are certainly a personal favourite.